PARIS-GENEVA, 19 July 2013 (OBSERVATORY & VCHR) - The Observatory for the Protection of Human Rights Defenders, a joint programme of the International Federation for Human Rights (FIDH) and the World Organisation Against Torture (OMCT), together with the Vietnam Committee on Human Rights (VCHR), express deep concern for the health of human rights defender Mr. Nguyen Van Hai (aka Dieu Cay) who has reportedly been on hunger strike in prison for at least 25 days. Mr. Dieu Cay, prominent blogger and founder of the “Club of Free Journalists of Vietnam”, well known for his online writings calling for greater respect for human rights and democratic reforms, is currently detained in Prison Camp No. 6 in Thanh Chuong District, Nghe An Province in Central Viet Nam. On July 16, 2013, Ms. Duong Thi Tan, the former wife of Mr. Dieu Cay, went to visit him in prison, but was refused the right to see him. A senior prison official (Lt.-Colonel of Security Police) told her that Mr. Dieu Cay was currently being punished for “disturbing order”. Mrs. Nguyen Thi Nga, the wife of political prisoner Mr. Nguyen Xuan Nghia, who is detained in the same prison camp, visited her husband the same day and asked for news of Mr. Dieu Cay. Prison wardens immediately intervened and ordered her not to discuss this “sensitive question”. As she was about to leave, Mr. Nguyen Xuan Nghia shouted out “Did you know that Dieu Cay has been on hunger strike for the past 25 days?”. Wardens swiftly gagged him and dragged him away. Our organisations are extremely concerned for the health of Mr. Dieu Cay. Prison Camp No. 6 has no adequate medical facilities, and it is situated in a remote, mountainous region some 70 kilometres from Vinh, the nearest town. If Mr. Dieu Cay’s health suffers as a result of a prolonged hunger strike, he would not have access to urgent medical treatment. “Mr. Dieu Cay has persistently claimed his innocence, but he found no justice in Viet Nam’s legal system”, said VCHR President Vo Van Ai. “So he is speaking out in the only way a prisoner can - by putting his own safety on the line in an act of nonviolent protest. 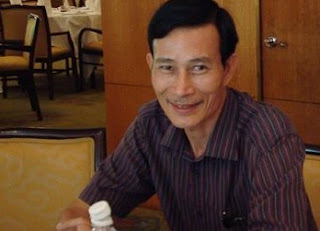 His detention is shameless and unlawful - Viet Nam should set him free”. “Mr. Dieu Cay’s situation illustrates the widespread international and domestic protest over an ongoing government crackdown on freedom of expression, both online and offline” deplored FIDH President Karim Lahidji. “We call for the immediate and unconditional release of Dieu Cay and of all human rights defenders and cyber-dissidents in Viet Nam”. 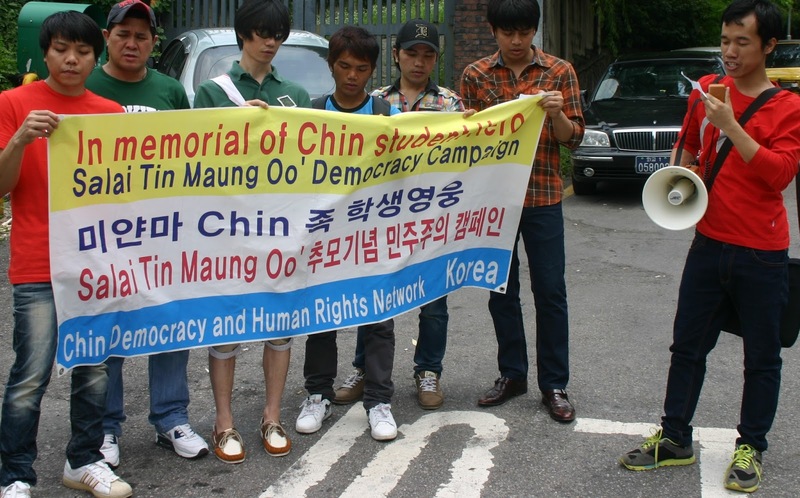 “At last, the authorities of Viet Nam should abide by the opinion issued by the United Nations Working Group on Arbitrary Detention in 2009, declaring Mr. Dieu Cay’s arbitrary and in violation of international human rights law, by immediately releasing him”, urged OMCT Secretary General Gerald Staberock. “It is high time that the authorities of Viet Nam finally put an end to their crackdown on Internet activists and human rights defenders in the country as a way to silence critical voices”. Scores of human rights defenders and cyber-dissidents are currently serving long prison sentences or awaiting trial in Vietnam (1). Three bloggers, Dinh Nhat Uy, Pham Viet Dao and Truong Duy Nhat, arrested in the past two months alone, face prison sentences of up to seven years for “abusing democratic freedoms to infringe upon the interests of the State” (Article 258 of the Criminal Code). 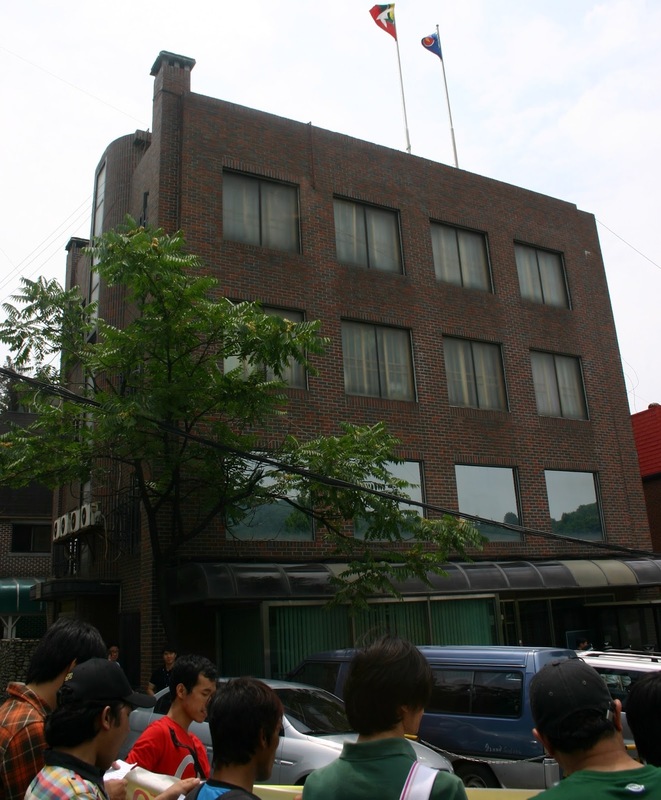 Their blogs are aimed at informing people about human rights and advocating ways to promote and protect them. On May 16, 2013, University student Ms. Nguyen Phuong Uyen, 21, and Mr. Dinh Nguyen Kha, 25 (the brother of Dinh Nhat Uy) were sentenced respectively to six and eight years in prison and three years house arrest for advocating for human rights. Mr. Dieu Cay was first convicted in 2009 on trumped-up charges of “tax evasion” after a manifestly unfair and closed trial. 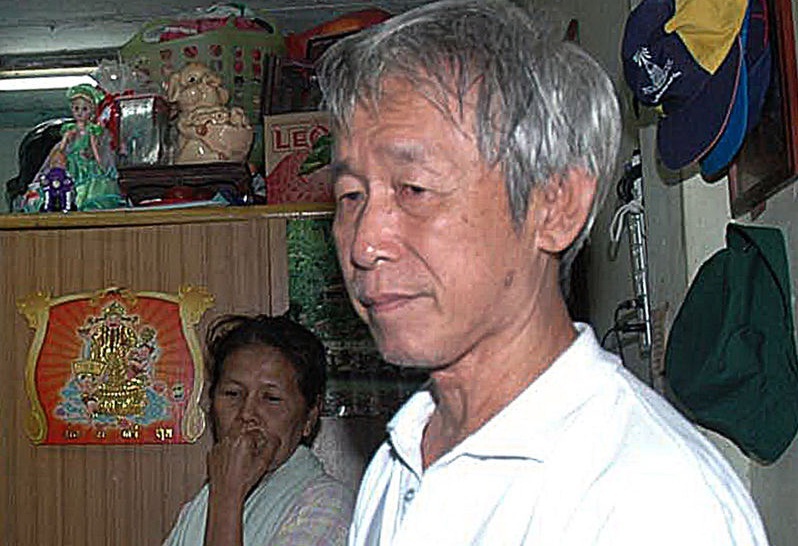 Instead of being released upon completing the sentence in 2010, Mr. Dieu Cay was charged with a second offence of “propaganda against the Socialist Republic of Vietnam” (Article 88 of the Criminal Code). Article 88 is among several repressive provisions in Vietnamese law that are routinely used to criminalise free speech and imprison peaceful dissidents. He was detained incommunicado for over a year. In late 2011, Mr. Dieu Cay staged a 29-day hunger strike to protest his unfair detention. On September 24, 2012, he was sentenced to 12 years in prison and five years probationary detention at a trial in Ho Chi Minh City that broadly violated fair trial standards and was widely condemned by the international community. The verdict was upheld on appeal in December 2012. Our organisations strongly condemn the crackdown that has been targeting Internet activists and human rights defenders in Viet Nam for the past few years, and urge the authorities of Viet Nam to abide by the resolution that was adopted by consensus in June 2012 by the UN Human Rights Council, affirming that the right to freedom of expression online must be protected, and calling on States to “promote and facilitate access to the Internet”. Our organisations further reiterate their call on the Vietnamese authorities to ensure in all circumstances that human rights defenders are able to work without any fear of reprisals and to conform to the UN Declaration on Human Rights Defenders and the Universal Declaration of Human Rights. 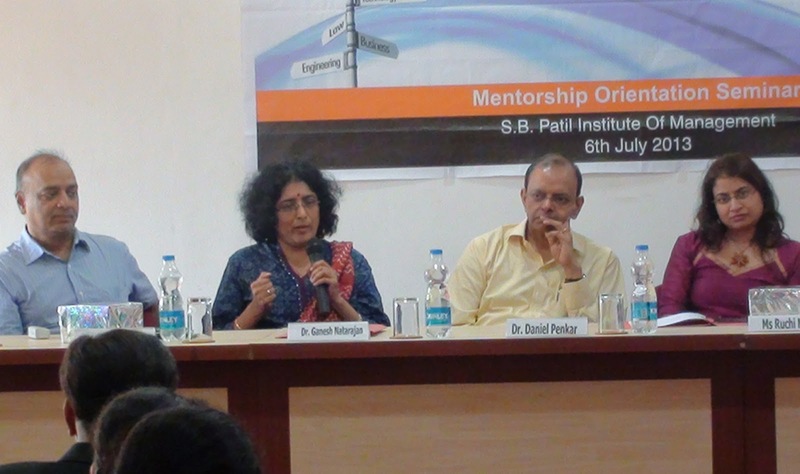 Conducts mentoring session with Industry Leaders at S.B.Patil Institute of Management, PCMC. Natarajan Education Society (NES) – www.nesconnect.org, a Pune based Not-for- profit organization has launched a multi-model mentoring initiative for students in Western India with an interactive afternoon at S. B. Patil Institute of Management, Nigdi, on Saturday the 6th of July, where over 200 candidates from Engineering & Management streams from various institutes were present. Chaired by Dr Ganesh Natarajan, Vice Chairman & MD of Zensar Technologies and Founder of NES, the panel comprised eminent industry CEOs Ms. Sushma Rajagopalan – Global Partner & MD of Liquidhub India Pvt. Ltd., Mr. Ajay Aggarwal – CEO of Seacom India & specialists Ms. Deepika Sharma – Education Technology Ms. Ruchi Mathur – Strategy & CSR Head of Zensar Technologies Ltd, Pune and Mr Kedar Nigavekar Education Entrepreneur. The panelists touched upon several important aspects that go a long way in ensuring successful career and smooth transition from academics to industry in the wake of the growing challenges & industry dynamics. 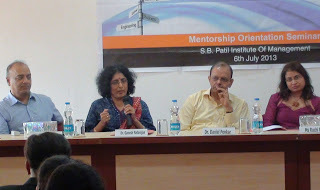 Sushma Rajagopalan urged the students to focus on three Cs – Confidence, Competence and Commitment and have a focused approach instead of a diverse agenda to their career goals. Mr. Ajay Aggarwal insisted that candidates today need to be very open to gain exposure & learning through various different job roles and not shy away from taking challenges as a potential opportunity for learning. Dr. Ganesh Natarajan gave insights on the way freshers need to look at their career & what to expect from their first jobs as they enter the industry. His mantra for success was the three Fs; he said “as an organization we expect freshers to be Fast learners, Flexible in job roles and Focused on their career path in order to achieve and contribute to excellence. He also mentioned that in order to excel in the corporate world today, candidates need to adopt innovative methods and 24x7 learning avenues, thereby making them multiskilled, instead of just focusing on academic requirement. “Take every day as a challenge and be prepared to do hard work without any shortcuts” said Deepika Sharma. Ruchi Mathur stated that industry is now focusing on hiring students from Tier II institutes rather than top rated institutions because of their potential to excel, given an opportunity & right direction, hence this is a very important trend that can be of great advantage to today’s ambitious youth. Mr Kedar Nigavekar emphasized the importance of strong values and suggested that students should imbibe this from their role models and mentors. The multi-modal approach to mentoring was emphasized with the introduction of the next phase, which is on line mentoring, a unique initiative launched by NES in March 2013 this year in collaboration with Boston USA based TurnRight Advice Inc. NESTURNRIGHT.COM is the online mentoring portal for candidates that will match hundreds of students with over forty high profile mentors and give opportunities for student queries to be handled interactively to make them ready for the corporate world. BRUSSELS, 3 July 2013 (FIDH & VIETNAM COMMITTEE) - FIDH and VCHR wrote an open letter to the European Union on 30 April 2013 highlighting how prejudicial the absence of an assessment on human rights would be within the context of the EU-Vietnam free trade agreement currently under negotiation. In its reply received today, the European Commission confirms that a Human Rights Impact Assessment (HRIA) is not included. Therefore, the EU fails to respect the commitment made in its June 2012 Strategic Framework and Action Plan on Human Rights and Democracy to “insert human rights in all Impact Assessments”. It is well known today that international trade and investments can have positive effects on human rights, but it has often also contributed to undermine the protection and realisation of human rights and to worsen the social, economic, civil and political situation of citizens, in particular those in developing countries and states where corruption is high and transparency is low. The way to ensure that trade partners respect their international obligations and that the EU’s trade agreements benefit and do not harm human rights is to document the potential risks and to adapt the negotiations to consider and mitigate those risks. 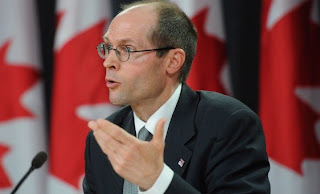 It is the position of Olivier de Schutter, UN Special Rapporteur on the right to food, who in 2010 already declared: “It is time to act. The methodology for conducting HRIAs exists. The decision to implement HRIAs is a matter of political will”. 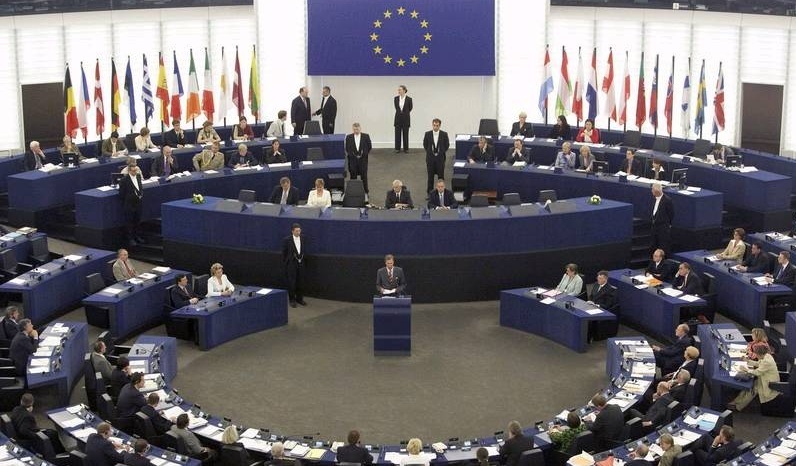 FIDH and VCHR call the European Parliament and the Council of the European Union to urge the Commission to launch the requested Human Rights Impact Assessment. “These institutions need ensure the mandate of negotiation is adapted to address the challenges in Vietnam and that the agreement contains efficient safeguards and guarantees to that end” said Karim Lahidji, FIDH President. “It is essential that the Council and the European Parliament make sure they are fully informed when the time comes to negotiate and agree the adoption of the Free Trade Agreement”. “Since 2009, at least 160 peaceful activists have been sentenced to a total of 1,052 years in prison in a brutal government crackdown, despite Vietnam’s commitments made under its UPR the same year. An HRIA must be urgently made to ensure that the Council and the European Parliament are provided with the full facts.” said VCHR President Vo Van Ai. We are a group of Burmese/Myanmar ethnic people based in South Korea; our organization name is called “All Ethnic Democracy and Human Rights Network”. Today we are protesting our democracy and ethnic-civil rights in the front of Myanmar embassy, in memorial of our leader - Chin student hero ‘Salai Tin Mg Oo’ who was deliberately killed by Burma/Myanmar military junta due to his democracy and freedom movement. This is the memorial of 37th anniversary of Salai Tin Mg Oo assassination, that the Burma/Myanmar’s military junta killed him on June 24, 1976. We “All Ethnic Democracy and Human Rights Network” are strongly condemned for the Burma/Myanmar military government’s action for that. Similarly the military regime massacred students’ activist on July 7, 1962 in the past and order to destruction of the Student Union Building. Afterward there was nation wide mass uprising in 08/08/1988 where the government responded brutally firing into the crowd – leading to about 3,000 killed, and there was Depayin massacre in May 2003 which military alleged killed hundreds of people, also there was the people revolution in September 2007 which military killed and disappearance hundreds of people again. In 2008 cyclone disaster, delaying and halting relief aids to the victims which made millions of people suffering and hundred thousand was death. (1) Admit and apology for killing Salai Tin Maung Oo and stop continues war and human rights violation. (2) Stop military interfering in civilian government. Change to genuine democracy system and provide freedom from political and economic suppression. And we ask South Korea government and International community to support on our course of democracy movement and effort to transform a genuine democracy system in Burma/Myanmar. Also we ask them to support and help-out the ethnic victims in inside the country and asylum seekers around the world. Dongria Kond delegation visits the Odisha Governor SC Jamir to demand all villages affected by Vedanta's proposed mine are included in gram sabha process. 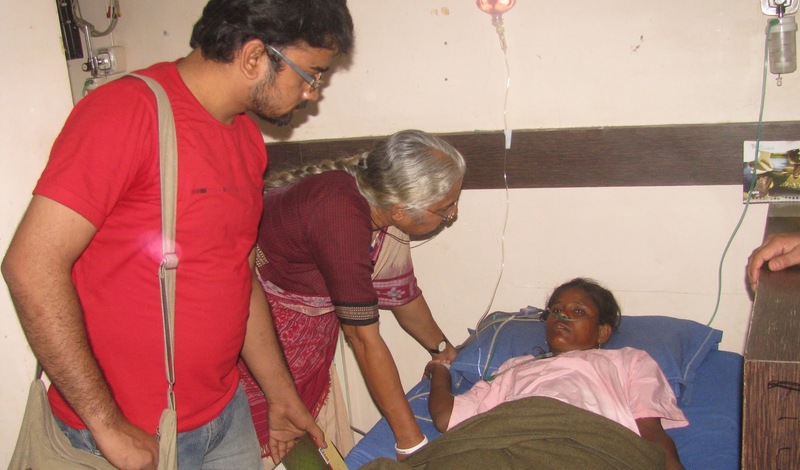 Dongria report sustained harassment from police and special forces in Niyamgiri villages. UK members of parliament submit letter of concern on Vedanta's part in Palli Sabha process to UK government and OECD. Tomorrow a group of fifteen Dongria Kond from the threatened Niyamgiri mountain range in Odisha, India will descend on Bhubaneswar to meet the Odisha Governor SC Jamir demanding that all affected villages are consulted on how their religious and cultural rights would be affected by Vedanta's proposed mine. On Sunday the Minsister for Rural Development - Jairam Ramesh had also intervened in the ongoing gram sabha process, echoing the outcry at Niyamgiri that only twelve out of more than 100 affected villages had been chosen to be consulted on the mine by the Odisha State Government. The Dongria will also hold a press conference at which they will give details of ongoing harassment by CRPF forces, who have been threatening villagers not to oppose the mine. In one incident the CRPF opened fire on a group of Dongria bathing in waterfall at Batudi village. Meanwhile in London, a group of UK members of parliament have expressed their concern over the Palli Sabha process, alerting UK authorities to monitor the behaviour of British mining company Vedanta Resources, who are attempting to mine the mountain with Odisha state support. Their visit will add to intense pressure on the Governor (who is nominally responsible for overseeing the gram sabha process). The Minister of Tribal Affairs – Chandra Kishore Deo, and Minister of Rural Development - Jairam Ramesh among others, have demanded he take a strong stand on the Niyamgiri gram sabha process initiated by the Supreme Court's judgement on Vedanta and Odisha Mining Corporation (OMC)'s mine in April(1). Jairam Ramesh had earlier banned Vedanta from mining the mountain in August 2010, following the SC Saxena report. Despite being celebrated as a victory for people's democracy, there has already been considerable controversy over the Odisha government's interpretation of the Supreme Court ruling (see comprehensive analysis on Foil Vedanta website1). Meanwhile in London, an open letter4 signed by a group of Members of the UK and Scottish Parliaments has been officially submitted to London's two main financial ombudsmen (who are currently under pressure to investigate and de-list Vedanta) (3) and the OECD's UK National Contact Point (who has previously upheld a complaint against Vedanta's Niyamgiri project5). The letter expresses concern with 'the track record of Vedanta and the supporting Odisha state at Niyamgiri', and a desire to ensure 'that this decision making process should be fair, fully informed and un-influenced by Odisha state (and its officials including police) or Vedanta itself – following the principle of Free Prior Informed Consent.'. Badwani: In another shocking incident, two young wage labourers Bhanu S/o Fathu and Jeevan S/o Vishram succumbed today on the spot in the illegal sand mines in village Pendra, Tehsil and Dist Badwani, after being crushed under the huge sand boulders. Two other labourers, Mendubai, widow of Rajendra and Girdhari are hospitalized and are in a critical condition in the ICU, after getting seriously wounded when the sandy hillocks and eroding adjacent land slided, sinking the labourers for more than half an hour. The inquiry into the deaths by the police administration is obviously not smooth while the illegal mining mafia is trying hook and crook to hush–hush the matter and push the incident under the carpet. As per the brave and candid statement of Mendu bai, not less than 300 to 400 workers were working at the bottom of the huge mining pit, 40 feet deep, at the time of the incident. The rains had made the sand walls brittle on all the four sides and suddenly there was a massive slide. She and three others from her own village, Raswa, Tehsil Kasravad, Dist Khargone, couldn’t run away while others did and came under the heavy sand, resulting in the mishap. They could be removed only after half an hour during which the death and wounds occurred. Reportedly, the main contractor, Mr. Suresh Patel and his two sons from village Kundia, had paid lakhs of rupees to Raju Jalal for excavation of the land for sand. Earlier in the day, Medha Patkar and a few activists visited the labourers admitted at the hospital and also the spot at Village Pendra where the incident had occurred. The adjacent land of Champalal Awasya and his brothers (Raju’s cousins), other lands belonging to Mohan, Bherusing and his father Rukhadiya have also been sold, while they are either yet to get land or have been entangled in the fake registry scam. However, some of such land owner oustees, along with the politician-bureaucrat-contractors nexus have earned lakhs of ruppes in this illegal mine game, that is going on in village after village in the Narmada valley, in the very lands that have been acquired for or are adjacent to the lands acquired for the Sardar Sarovar Project by the Narmada Valley Development Authority. The Rehabilitation Officer, SSP, Badwani, has clearly stated in his letter dated 14-05-2013 that the NVDA has never given a No-Objection Certificate to the sand mining on the lands acquired for the SSP. The entire mining activity is illegal since it violates the provisions of the Narmada Water Disputes Tribunal Award that stipulate that the lands acquired can be used only for the purposes of submergence and not otherwise. In spite of the fact that the Hon’ble Supreme Court has categorically directed that no sand mining leases or renewal of leases can be given without approval of the Union Ministry of Environment and Forests, the Badwani Collector has given an illegal three – month extension from the sand mines, from April, 2013. Little action has been taken to arrest this illegal activity despite dozens of complaints from numerous villages. 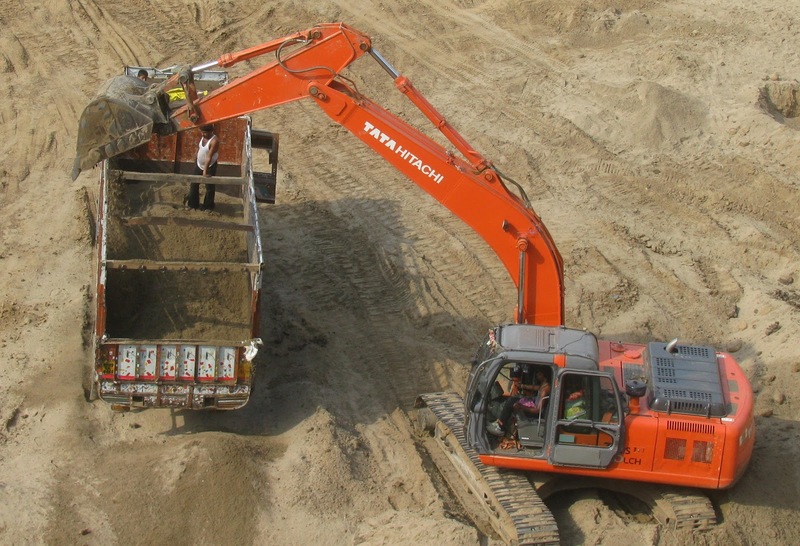 NBA demands a complete halt to the illegal sand mining as also the auction and lease process, and demands a comprehensive inquiry into all such incidents that have been occurring time and again, as also a detailed environmental impact assessment of the activity that has been undertake thus far. 1. The Asian Legal Resource Centre (ALRC) wishes to bring the regularization of the crisis of freedom of expression in Thailand to the attention of the Human Rights Council. This statement is the sixth on this topic that the ALRC has submitted to the Council since May 2011. During the seventeenth session of the Council in May 2011, the ALRC highlighted the rise in the legal and unofficial use of Article 112 of the Criminal Code and the 2007 Computer Crimes Act (CCA) to constrict freedom of expression and intimidate citizens critical of the monarchy (A/HRC/17/NGO/27). During the nineteenth session in February 2012, the ALRC detailed some of the threats faced both by those who have expressed critical views of the monarchy, both legal and extralegal, as well as those who have expressed concern about these threats (A/HRC/19/NGO/55). 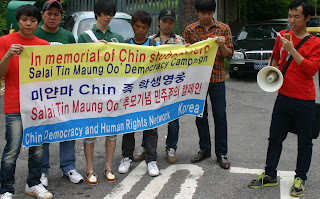 During the twentieth session in June 2012, the ALRC raised concerns about the weak evidentiary basis of convictions made under Article 112 and the CCA (A/HRC/20/NGO/37) and the concerning conditions surrounding the death in prison custody of Amphon Tangnoppakul on 8 May 2012, then serving a 20-year sentence for four alleged violations of Article 112 and the CCA (A/HRC/20/NGO/38). 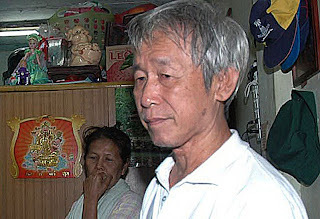 During the twenty-second session in March 2013, the ALRC highlighted the January 2013 conviction under Article 112 of human rights defender and labour rights activist Somyot Prueksakasemsuk (A/HRC/22/NGO/44). 2. In the prior five statements, the ALRC has been concerned with the urgency of the threats posed by the constriction of freedom of expression. Particularly in the context of the 19 September 2006 coup and the violent clashes between state security forces and citizens in April-May 2010, the protection of fundamental human rights is necessary to foster the rule of law and democratization. The ALRC is again raising the issue of freedom of expression with the Council because the constriction of speech in the name of protecting the monarchy and national security has now become regularized. This is no longer an unusual breach of human rights, but one that has become constitutive of political and social life in Thailand. The entrenchment of the violation of freedom of expression threatens to normalize an additional series of human rights violations, such as the routine denial of bail to individuals awaiting trial and appeal, the provision of substandard medical care in prisons, and the use of secrecy to restrict the openness of trials and public information about ongoing cases. 3. Article 112 criminalizes criticism of the monarchy and mandates that, "Whoever defames, insults or threatens the King, Queen, the Heir-apparent or the Regent, shall be punished with imprisonment of three to fifteen years." The 2007 CCA, which was promulgated as part of Thailand's compliance as a signatory to the United Nations Convention Against Transnational Organized Crime, has been used to target web editors and websites identified as critical of the monarchy or dissident in other ways. The CCA provides for penalties of up to five years per count in cases which are judged to have involved the dissemination or hosting of information deemed threatening to national security, of which the institution of the monarchy is identified as a key part. While Article 112 law has been part of the Criminal Code since the last major revision in 1957, available statistics suggest that there has been a dramatic increase in the number of complaints filed since the 19 September 2006 coup; how often these complaints become formal charges and lead to prosecutions is information that the Government of Thailand has failed to provide up to this point. The CCA has often been used in combination with Article 112 in the four years since its promulgation; similar to the use of Article 112, complete usage information has not been made available by the Government of Thailand. This failure to provide information itself raises many unanswered questions about the use of both laws to diminish space for freedom of expression through the use of secrecy and creation of uncertainty. 4. At present, there are 6 persons known to be serving prison terms for alleged violations of Article 112 and/or the CCA and 1 person behind bars while awaiting trial. a. Daranee Charnchoengsilpakul was convicted of violations of Article 112 related to 55 minutes of speech and sentenced to 18 years in prison on 28 August 2009. Following examination of her case by the Constitutional Court, her sentenced was reduced to 15 years in December 2011. b. Wanchai Sae Tan was convicted of violations of Article 112 related to leaflets he made and distributed and sentenced to 15 years in prison on 26 February 2010. c. Thanthawut Taweewarodomkul was convicted of violations of Article 112 and the CCA related to his work maintaining the NorPorChorUSA website and sentenced to 13 years in prison on 15 March 2011.
d. Surachai Sae Dan (Danwattananusorn) was convicted of a series of violations of Article 112 related to political speeches he made and sentenced to a total of 12.5 years in prison in a series of cases in 2012. e. Somyot Prueksakasemsuk was convicted of violations of Article 112 related to his work in editing and publishing Voice of Taksin magazine, which was deemed to include two anti-monarchy articles (written by someone else) and sentenced to a total of 11 years in prison on 23 January 2013 (10 years on Article 112-related charges and 1 year related to a prior case). f. Ekachai Hongkangwan was convicted of violations of Article 112 related to selling VCDs of an ABC Australia documentary and copies of WikiLeaks material and sentenced to 3 years and 4 months in prison on 28 March 2013.
g. Yutthapoom (last name withheld) has been held in the Bangkok Remand Prison since 19 September 2012 on charges of violating Article 112. 5. While there have been several other convictions in recent years, these 7 cases stand out because the individuals involved have repeatedly been denied bail, always on the grounds that their crimes are too grave a threat to national security to permit even temporary release. Although some individuals were granted bail while awaiting trial, upon conviction they were all denied bail, despite ongoing processes of appeal. This is in contravention to Article 9(3) of the International Covenant on Civil and Political Rights (ICCPR), to which Thailand is a state party, which specifies: "Anyone arrested or detained on a criminal charge shall be brought promptly before a judge or other officer authorized by law to exercise judicial power and shall be entitled to trial within a reasonable time or to release. It shall not be the general rule that persons awaiting trial shall be detained in custody, but release may be subject to guarantees to appear for trial, at any other stage of the judicial proceedings, and, should occasion arise, for execution of the judgment." Bail is routinely granted during trials and after conviction while awaiting appeal in cases of committing violent crimes in Thailand, but routinely denied for cases involving freedom of speech. 6. As highlighted by the May 2012 death in custody of Amphon Tangnoppakul, who was then serving a 20-year sentence for allegedly sending 4 anti-monarchy SMS messages, which the ALRC commented on in a June 2012 submission to the Council (A/HRC/20/NGO/38), the prison healthcare system in Thailand falls well beneath the United Nations Standard Minimum Rules for the Treatment of Prisoners. As part of the testimony provided during the April 2013 postmortem inquest hearings into Amphon's death in custody, as reported by Prachatai, Amphon reported to fellow prisoners that when he went to seek treatment at the prison hospital, physicians made contemptuous comments about his alleged defamation of the monarchy. This goes far beyond institutional failure to meet minimum standards and indicates that physicians have become partial and may not provide an equal level of care to all prisoners. 7. Prosecutions under Article 112 and the CCA are surrounded by several different kinds of secrecy. The first is that the total number of charges and prosecutions under these two measures has not been made public by the Government of Thailand. The reason that the ALRC noted above in the list of current prisoners above that these are the known cases of individuals currently serving prison sentences or under detention while awaiting trial is that in the annual U.S. State Department Human Rights Report on Thailand, released in late April 2013, they reported that the number of persons detained or imprisoned under laws related to lèse majesté was between 7 and 18. Those 7 individuals listed above are those who are known to be behind bars, but the U.S. State Department report indicates there may be an additional 11 individuals being held. The failure of the Government of Thailand to provide precise information to the public itself raises many unanswered questions about the use of the laws to diminish space for freedom of expression through the use of secrecy. In addition, in at least two cases, those of Daranee Charnchoengsilpakul and Wanchai Sae Tan, the trials were held in camera and were closed to the public on the basis that the dissemination of the testimony may constitute a threat to national security. In a 2011 comment, the Constitutional Court argued that there was no contradiction between a secret trial and the protection of rights and liberties as provided for in the 2007 Constitution. Taken together, these two forms of secrecy create uncertainty about what consequences citizens may face for the basic exercise of human rights and makes political participation filled with possible danger. 8. The ALRC is very concerned about the effects of the regularization of the constriction of freedom of expression on human rights, democracy, and the rule of law in Thailand. The danger of this regularization is that it naturalizes violations of rights and causes them to appear normal and justified. The ALRC would like to remind the Government of Thailand that under Article 19 of the ICCPR, restrictions on the right to freedom of expression are only permissible under two circumstances: "for respect of the rights or reputations of others" and "for the protection of national security or of public order (ordre public), or of public health or morals." While measure 112 is classified as a crime against national security within the Criminal Code of Thailand, and this is frequently cited by the Government of Thailand when faced with the criticism that the measure is in tension with the ICCPR, to date a clear explanation of the precise logic for categorizing the measure as such has not been provided. Without an adequate explanation being provided, the constriction of freedom of expression is arbitrary. 9. In view of the above, the Asian Legal Resource Center calls on the UN Human Rights Council to: a. Call on the Government of Thailand to release all those convicted or facing charges under Article 112 and the 2007 Computer Crimes Act. b. Demand that the Government of Thailand revoke Article 112 of the Criminal Code and the 2007 Computer Crimes Act. c. Demand that the Government of Thailand provide an accounting of how they will improve the provisions for healthcare in prison and ensure that all prisoners receive the same treatment, without regard for the alleged crimes that they have committed. d. Urge the Government of Thailand to allow and support the full exercise of freedom of expression and political freedom, consistent with the terms of the Universal Declaration of Human Rights, to which it is a signatory, and the International Covenant on Civil and Political Rights, to which it is a state party. e. Request the Special Rapporteur on the freedom of opinion and expression to continue ongoing monitoring and research about the brought situation of constriction of rights and individual cases in Thailand; and, the Working Group on Arbitrary Detention to continue to monitor and report on those cases of persons arbitrarily detained under Article 112. Given the disturbing recent trend of the death penalty being carried out arbitrarily this year in India, a national campaign against the death penalty comprising of distinguished jurists, senior lawyers, human rights groups, academics, NGOs and activists have converged to highlight the disappointing return to capital punishment. The secretive and barbaric nature of these executions has added to the alarm and concern. The purpose of the conference is to provide a rational critique from eminent and distinguished speakers, both from the judiciary, those working within the Indian criminal justice system, NGO’s and human rights groups; How the death penalty as a means of punishment and deterrence is both dangerous and flawed as a penal objective in 2013. The conference will examine some of the following topics with eminent speakers including: Justice A.K. Ganguli (Retd), Supreme Court, Juvenile Justice: the death penalty for juveniles accused of serious offences Justice A. P. Shah (Retd. ), Chief Justice Delhi High Court, A judges View of the use and abuse of the death penalty. Colin Gonsalves, Senior Supreme Court Advocate and director of HRLN, Access to justice, flawed investigations, legal aid and the right to a fair trial where the death penalty is carried out. Shashi KumarVelath, Amnesty International, The“Lethal Lottery”, activism and mobilization. Meagan Lee, Reprieve, India bucking the trend: The global move away from the death penalty and “Death-row Syndrome”, Anup Surendranath, Professor National Law University Delhi, TADA – Emergency Legislation and the Death Penalty. Navneet Bhullar, My struggle against the death penalty Satnam Singh Bains, Barrister Chambers Lord Gifford QC, London, Miscarriages of justice and the irreversible nature of the death penalty. This conference has been organised by Human Rights Law Network in collaboration with Peoples Union for Civil Liberties, Amnesty International, Human Rights Watch, Free Bhullar Campaign AISA, Anhad, Jamia Teachers’ Solidarity Association, , Indian Alliance for Child Rights, Lawyers for Human Rights International, Lawyers for Justice, People’s Watch, Sikh Human Rights Groups and other NGOs. "The cause of Sri Lankan strife is not race or religion but the myths contained in Mahavamsa"... May 2013 is Tamil genocide day and burning of Mahavamsa. On this day every Tamil must burn a copy of Mahavamsa in their homes to show their anger and remorse. 146679 people were massacred. Sri Lankan Government is hoping they can substitute community development to Capital punishment for the Genocide May 2009.The seminal source of the genocide can be traced to Mahavamsa, the Superior Race theory. One must understand that the cause of the genocide is not superficial one, it is well planned and executed by the Maha Sangha (ORGANISATION) as written in Mahavamsa (THE PLAN)There fore regime change or political change or Constitutional change and any other mean will not change the psyche of the Singhalese people. What our Tamil people must understand is that there is program and pogroms to slowly but steadily eliminate Tamils, Muslims, Christians etc from Sri Lanka. Mahinda Rajapaksa, like S.W.R.D Bandaranayake and Junius Richard Jeyawardene is a hired thug to annihilate non Buddhist communities in Sri Lanka. If one journalize the events took place since 1948, it ill become obvious to every one. On this of May 18th 2013, every Tamil must down load a copy of Mahavamsa and burn it and show the world the seminal source of the Sri Lankan Genocide is because of the Mahavamsa; (Superior race Theory) similar to Mein kampf by Adolf Hitler. If Tamils people want to survive this narcissistic nature of Buddhist in Sri Lanka, they must unite under one proclamation and one roof and create awareness among the world. Mahavamsa is a defective gene that has to be removed and The Buddhist people in Sri Lanka are quarantined from the ill effects of Mahavansa. The Singhalese people have to shown that there are better ways to live. It is in the interest of the Singhalese people and the rest of the world this chronic chronicle must be burned in every Tamil Home around the world. The CBCI Office for Justice, Peace and Development (OJPD) conducted a workshop on Catholic Social Teaching for 30 participants comprising of priests, nuns and human rights activists at North East Diocesan Social Service Society (NEDSSS) Joypur, Guwahati, in Assam,on 19 and 20 April 2013. 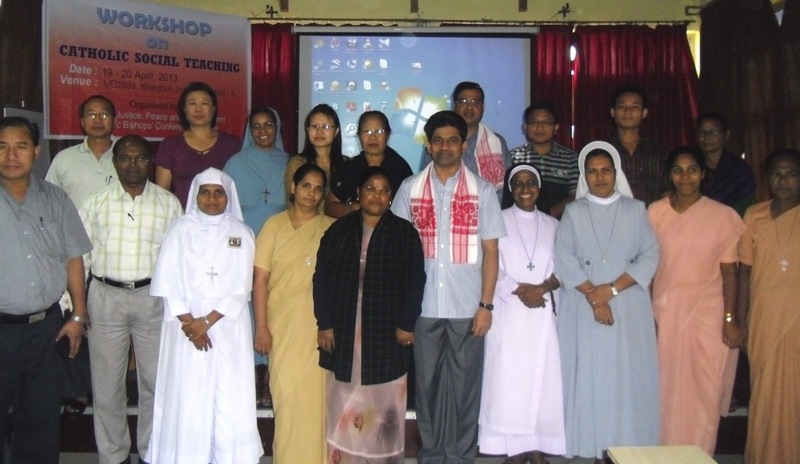 Through the two-day workshop, OJPD aimed to develop a coordinating effort for just society, and to foster solidarity among the church groups to make a difference in the Northeast Region. STRASBOURG, 18 April 2013 (VIETNAM COMMITTEE) – At its plenary session in Strasburg today, the 754-member European Parliament adopted an Urgent Resolution on Vietnam strongly condemning a wide range of human rights violations and asking the EU to “assess the compatibility” of these violations with the new EU-Vietnam Partnership and Cooperation Agreement (PCA) which conditions trade and diplomatic relations on the respect of democratic principles and human rights. 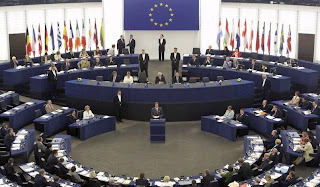 The resolution was co-sponsored by six political groups across the whole political spectrum, including the Progressive Alliance of Socialists and Democrats in the European Parliament, the European People's Party (Christian Democrats), Alliance of Liberals and Democrats for Europe, the Greens/European Free Alliance Group, the European Conservatives and Reformists Group and the Europe of Freedom and Democracy Group. It was adopted by a large majority with no vote against. The Confederal Group of the European United Left - Nordic Green Left abstained from voting. “This strong resolution by the EP takes up the grave concerns raised by Vietnamese and international civil society, and detailed in our report on “Bloggers and Netizens behind bars”, said Vo Van Ai, President of the Vietnam Committee on Human Rights. “It shows Vietnam’s systematic and savage repression against all those who hold opinions at odds with the one-Party state. Rightly, the EP asks the European Union to re-examine its relationship with Vietnam, which is based on the respect of fundamental freedoms and rights”. Condemning the ”political intimidation, harassment, assaults, arbitrary arrests, heavy prison sentences and unfair trials in Vietnam brought against political activists, journalists, bloggers, dissidents and human rights defenders, both on- and offline, in clear violation of its international human rights obligations”, the EP particularly deplored the detention of 32 bloggers and cyber-dissidents, especially the heavy sentences of Dieu Cay, Phan Thanh Hai and Ta Phong Tan, and the recent harassment of Buddhists youth leader Le Cong and writer Huynh Ngoc Tuan. A statement by Asian Jurists on the Impeachment of the Chief Justice, Dr. Shirani Bandaranayake, and about the threatened rule of law in Sri Lanka. The statement is issued by the jurists who attended a consultation organised by the Lawyers' Collective of Sri Lanka and the Asian Human Rights Commission, on the Independence of Judges and Lawyers in Asia, held from 9-11 April 2013, in Bangkok, Thailand. Jurists from 12 Asian countries, Sri Lanka, India, Bangladesh, Burma, Pakistan, Nepal, Indonesia, Thailand, Philippines, Vietnam, South Korea and Hong Kong attended the meeting. We are seriously alarmed by the rapid collapse of the rule of law in Sri Lanka and the loss of the core values of the separation of powers; the supremacy of law; the independence of judges, prosecutors and lawyers; and the diminishing possibilities of fair trial and of democracy, due to the extension of unbridled powers of the executive presidential system that has crippled all public institutions in Sri Lanka. 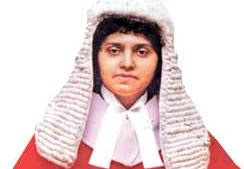 The recent impeachment of the Chief Justice, Dr. Shirani Bandaranayake, without adhering to universally accepted norms relating to removal of a judge from a superior court, is glaring manifestation of the capacity and the will of the executive to crush the independence of the judiciary. The failure to afford a fair inquiry by an impartial body on the allegations levelled against the Chief Justice, clearly underlines the absence of bona fides on the part of the government. The removal of the Chief Justice is undeniably a political act, carried out to achieve political ambitions of the government, at the risk of seriously damaging the over 200-year-old institution in Sri Lanka, its judiciary. The damage done by this abrupt and ruthless assault on the independence of judiciary will have lasting impact upon the independence of the judges as well as on the rule of law in Sri Lanka. The impeachment of the Chief Justice is followed by the appointment of, Mr. Mohan Peiris, a person whose close association with the president's family and businesses is quite well known. No universally accepted independent and transparent processes were adhered to in the appointment process. Peiris' past record as the Attorney General of Sri Lanka is tainted with serious allegations of political bias and lack of independence in office. While at the office of the Attorney General, Peiris failed to uphold the norms and standards upon which the tradition of the department of the Attorney General is built. Many of his decisions as the Attorney General had come under severe public criticism. Peiris represented the Government of Sri Lanka in international forums, only to throw the weight of his office to defend the appalling human rights record of Sri Lanka that came under repeated international criticism for years, due to manifold forms of serious abuses of human rights. The crisis of the Sri Lankan judicial system as a whole, is the result of a prolonged constitutional crisis, beginning with the misconceived notion of the supremacy of the parliament as opposed to the supremacy of law. By way of constitutional changes through the 1978 Constitution, fundamental notions of the rule of law and democracy has been displaced in favour of the absolute and arbitrary power of the executive president. The president is above the law and is able to change any aspect of the constitution without public consultation, by mere manipulation of parliamentary majority. The Sri Lankan parliament under the present system is completely under the clutches of the executive president. The parliament has ceased to become a forum, where the legislature is subject to parliamentary debate, and instead has become a place where presidential directives are thumb printed. In the same manner, the 'absolute power model' enshrined in the constitution undermines judicial independence. Sri Lanka has constitutionally rejected the rule of law and democracy. Therefore, there is a fundamental constitutional crisis of legitimacy in the country that has crippled the very structure of the state and that of governance. This situation is incompatible with the fundamental notions of democracy and the core values enshrined in the Latimer House Principles of the Commonwealth. The crisis of democracy and that of the rule of law, adversely affects all the rights of the citizens. The courts are no longer in a position to protect the dignity and the rights of the individual. The courts are placed in conditions at which they are compelled to defend the state at whatever risk of repression that may be caused to the rights of individuals, including the property rights of the citizens. The crisis of the rule of law has understandably led to a paralysis of the criminal justice system in Sri Lanka. The Sri Lankan policing system is highly politicised and therefore is failing to be an effective mechanism for investigation and prevention of crime. Across the country, there are large numbers of complaints regarding the failure of the police to investigate even serious crimes. The loss of protection for property and person from crimes is one of the major problems facing the citizens of Sri Lanka today. Among the crimes that are never investigated includes serious human rights abuses. Enforced disappearances, extra judicial executions, torture and illtreatment, crimes relating to personal integrity as well as those involving private and public property are neglected and a culture of impunity is prevailing. Attacks on judges and lawyers and upon the media are not investigated. The government is not embarrassed to face criticism relating to encouragement of impunity in the country. The government is in fact making all efforts to create the false impression that no amount of pressure will lead to any from of credible investigations into human rights abuses in Sri Lanka. Under these conditions, the role played by the judiciary is been diminished along with serious negations of the professional freedom of lawyers to undertake their job. Lawyers who approach their profession seriously and pursue the interest of their clients according to the law and insist on redress for the grievances of their clients are exposed to serious dangers. The following is a non-exhaustive list of concerns, lawyers face in Sri Lanka. They include: threat of disenrollment; of contempt of court actions; attempted abduction; absence of investigations on complaints; fabricated criminal charges; arrest and custodial torture; close surveillance by state agencies by breaching privacy and privilege of communications (the names of 135 lawyers in Sri Lanka has been referred by the executive to the National Intelligence Bureau and the State Intelligence Service); lawyers who are employed in state as well as private sectors restricted from exercising professional freedom; organised vilification campaigns by state and non-state actors; intimidation of judges by transferring them repeatedly or promoting judges tainted with corruption overlooking seniority. Lawyers who dare to challenge this smothering of professional freedom risk the loss of practice and income. Challenging the stifling of independence of judges and lawyers in Sri Lanka, we express our solidarity to the people of Sri Lanka, upon whom the task has fallen, to struggle to protect the rule of law and democracy in Sri Lanka. It is in the struggle of the people of Sri Lanka that the future of their liberty entirely rests. Under these circumstances, the denial of active support to the people of Sri Lanka would amount to complacence on the part of the international community. We call upon the international community, including the United Nations, to act on the basis of their obligation under international law, to extend active solidarity to the people of Sri Lanka. It is the duty of the United Nations to act within their mandate and in terms of the recently passed resolution on Sri Lanka concerning reconciliation and accountability, to act firmly, so as not to allow the present crisis to degenerate further. It is also the duty of all the member states to support the United Nations in this endeavour. (i) whether they are respecting its core values and principle, including the respect for separation of powers, the rule of law, good governance and human rights enshrined in its Charter; (ii) whether the Commonwealth's reputation would be more enhanced or tarnished if Sri Lanka were to host the forthcoming Commonwealth Heads of Government Meeting and act as its Chair-in-Office for the next two years." Incidents of Building Collapse Like Mumbra are Results of Corporate – Builder – Bureaucrat Nexus... April 4, Mumbai : “Incidents like Mumbra building collapse are result of Mumbai's infamous builder-politician-bureaucrat which allows the illegality and construction of these kinds of structure. Adarsh Housing Society is another such glaring illegality which even after Union government's direction stands tall on Mumbai's coast. Government is brazenly violating all norms and putting life of people at risk. There is complete lawlessness, law is violated for rich, and in the name of implementation of laws legal bastis of poor in Golibar, Chandivali, Koliwada and others in Mumbai are demolished by Municipal Corporation. In Golibar, even when Union Minister Ajay Maken, Housing and Urban Poverty Alleviation, recognised the illegality and ordered for halting demolitions, Maharashtra government demolished Ganesh Krupa Housing Society. Where is the law ? Why these homes of working class people are demolished when an enquiry is ongoing by the Principal Secretary, Housing, Government of Maharashtra. Against this injustice and complete illegality, I am forced to sit on indefinite hunger strike in less than two years at the same place in Golibar, Mumbai demanding justice,” said, Medha Patkar, leader of National Alliance of People's Movements, to which Ghar Bachao Banao Andolan is affiliated and is leading the struggle for housing rights of basti dwellers in Mumbai. She added that politically motivated campaigns are being run against her struggle for justice and false news is being spread by her rivals elsewhere. My non-appearance from some court cases and campaigns are used against me and the Andolan. They are done with a motive to malign the agenda of the struggle and our andolan. Our struggle against injustices will continue everywhere be it in Chennai where 2 lakh homes are to be demolished under slum redevelopment schemes, where our colleagues from NAPM and communities are fighting for their housing rights. Golibar, the prime land of 125 acres has become a battleground for 70 + old households, women and men, who are fighting a valiant battle for the last 5 years, tooth and nail. Through Ghar Bachao Ghar Banao Andolan, they have exposed the forgery and fraud in documents of Shivalik ventures, whom the community never gave consent to as ‘builders’. Shivalik has cheated many of these 46 societies, by manipulating documents, decisions and sanctions, through its political connections. Orders against Shivalik in many criminal and civil cases have not resulted in their arrest. However, some order of 2010 is being used against the slum dwellers of Golibar, to demolish their well built houses and evict them with brutal police force. Maharashtra Government had agreed, after a ten day long agitation in first week of January 2013, to get at least 6 projects investigated through the Principal Secretary, Housing Mr. Debashish Chakravarty. 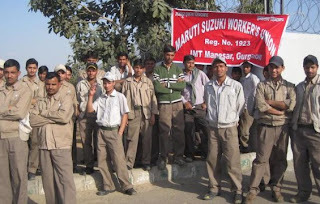 That enquiry began in February and open presentations were made on 7th – 8th February, 2013. 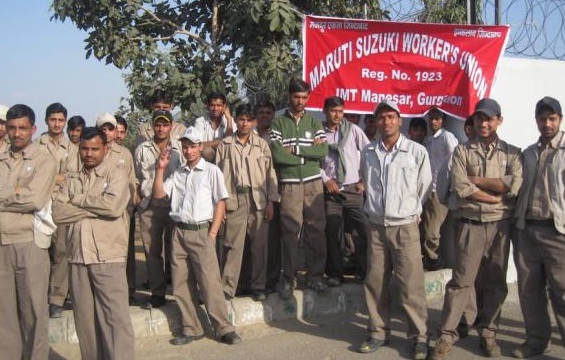 Builders – Developers / their representatives were also present in most of the cases and some made submissions too. However, even before the enquiry report is finalized and received by CM's office and us, there is continuous eviction taking place with police force, destroying decades old houses and vcausing irreversible damage, without resolving the issues. This is extremely unjust. Arrests, false cases and everything happened in the month of March in Golibar and Chandivali, as in other slums. There is a criminal case filed and enquiry is on in the case of Ganesh Krupa Society, Golibar with documents which indicates that there was no consent by 70% people and the General Body Meeting documents are fraudulent. Similar complaints are lodged by some other societies too. The Joint Commissioner, Mr. Datyeji inspected the documents few days back and directed the officials to re-investigate the matter thoroughly. None of the societies and dwellers in Golibar have received any document confirming that they will get a permanent accommodation in what time limit, of what area and where (in situ rehabilitation is to be ensured as per the SRA scheme, as also the Court’s orders) and hence people want house on their own land. Also, in none of these, people have received any documents. The files in SRA show the agreements between the slum dwellers and some other contractors which they had engaged earlier, but not with Shivalik ventures. In the case of Golibar, permanent rehabilitation buildings are on the lands of the Defence Ministry’s and Railways. Defence Ministry’s case is pending before the City Civil Court, Dindoshi as directed by HC. Railways have taken an undertaking that those buildings will be demolished, as and when land is required by Railways. How can the dwellers permit their fate to be hung in such circumstances? Ignoring a stern letter from Shri Ajay Maken, Union Minister for Housing and Urban Poverty Alleviation, to Shri Prithviraj Chavan, CM Maharashtra, demolitions in presence of more than 500 policemen and women continued. Nearly 43 houses have been demolished till now by a 200 demolition squad, with active assistance from Shivalik builders bouncers and men, and Kiran Jadhav & Sharad Jhadav, Directors in company personally supervising the same. Houses of Ganesh Krupa Co-operative Housing Society were demolished even though an investigation has been going on against the builders for forging signatures of residents to show their consent for slum redevelopment. Demolishing 70 to 100 years old houses in Golibar is criminal and in complete disregard of law of the land. NAPM strongly condemns such action and vows to continue its fight. You can break few more houses but can't break the resolve of the people to fight for dignified living and shelter. We urge every conscientious individual to join and support our struggle for a dignified living. Continue writing, protesting and shaming those in power, why are the afraid of their own enquiry report by the Principal Secretary, Housing. Let the truth come out, until then stop playing with the lives of citizens of this country.